There are pros and cons to any plan, but an ESOP (1) has considerableincome tax benefits (earnings may even become income tax free); (2) significant succession and estate planning advantages; and (3) can address concerns regarding a retiring owner’s legacy. It is very common for contractors to use ESOPs to accomplish goals such as the ones mentioned above – only manufacturers use it more often. Studies have also shown that ESOPs can lead to greater employee productivity and retention, along with enhanced retirement benefits to all eligible employees. For contractors, it may also have a beneficial effect on surety relationships, as long as the lines of communication remain open; it’s extremely important that all stakeholders (especially sureties) are involved in the process from the very beginning. 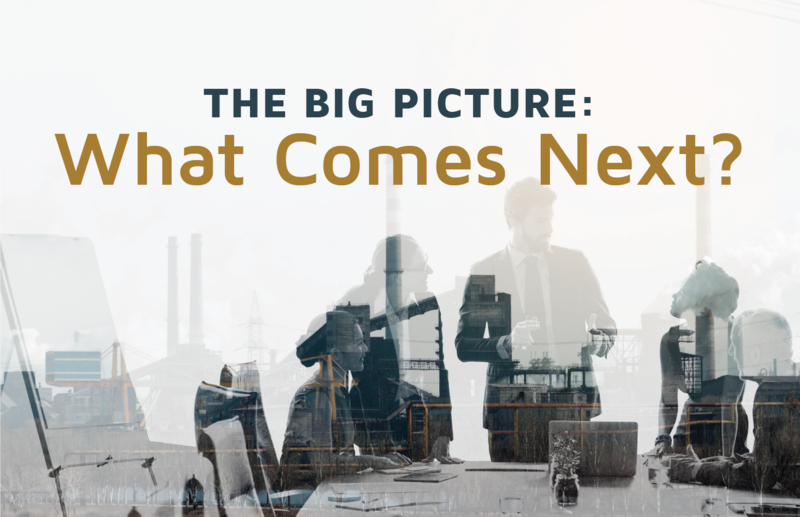 In this article, we will address the nature of an ESOP, and the various benefits of using the plan as a succession planning tool. Many owners want their children and/or key management to eventually operate and own the business, but they cannot afford to purchase the business (or cannot obtain adequate financing). 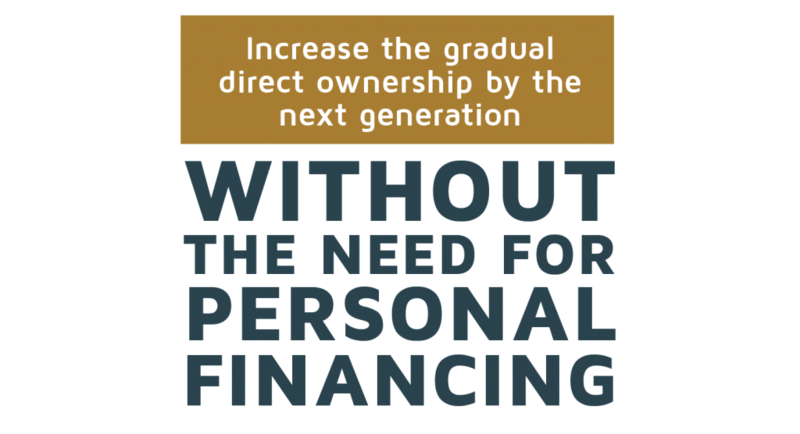 ESOPs can increase the gradual direct ownership by the next generation without the need for personal financing, or the potentially conflicting goals or interference of outside, unrelated interests. Most contractors wish to avoid potential business disruptions, not to mention the disruption to the lives of valued employees, which can result from an outright corporate sale. Whether it’s a strategic acquisition by another business, or a financial acquisition by investors, your business may ultimately be moved out of the community where you’ve spent years building ties or your employees may be terminated by new owners in an effort to cut costs. If your family’s next generation had any interest in continuing to build your business, an outside acquisition could derail their plans. It’s worthwhile to consider selling your shares to your company’s new ESOP instead. The ESOP succession planning / exit strategy begins with the sale of the owner’s corporate stock to an ESOP trust. The ESOP is technically a “defined contribution” plan, which is a tax-favored account under the Internal Revenue Code (IRC) and the Employee Retirement Income Security Act (ERISA). In effect, the ESOP borrows the funds for the purchase price (at full fair market value) from either an outside lender, or directly from the owner/seller who takes back a note; it’s usually a combination of both. The company makes quarterly or annual tax-deductible contributions to the ESOP that the ESOP then uses to repay the debt incurred to purchase seller stock. Once the stock is purchased by the plan, it is held in a suspense account, and released and allocated to employee participants based upon a non-discriminatory formula (usually based upon employee pay) over a period of years. This creates a significant long-term employee benefit plan that helps recruit, reward, and retain valuable employees. If an employee leaves the company, the IRS mandates that he/she be granted a “put option” that is exercisable against the company. This means that the employee can sell accumulated vested shares back to the company, or the plan, for the fair market value at the time of retirement or other termination event. The value of the shares is determined on at least an annual basis. As employees leave the company, the company purchases shares on the participants’ put options, and retires the shares to treasury or re-contributes the shares to the ESOP (taking another fair market value deduction). Retiring the shares reduces the overall outstanding shares and increases the percentage of ownership that is held outside the ESOP by the owner’s children and/or key management. Practically speaking, it is possible that when the last share is repurchased and retired, the shares held outside the ESOP represents 100 percent of the value of the company (i.e., the next generation / key management holds all outstanding shares). It’s important to remember that employees who accumulate stock in the plan DO NOT run the company or own the shares on an individual basis. The employees are “beneficial owners” of the shares through the trust, which is the legal owner of the shares. Aside from a few exceptions, the plan participants do not vote on the stock allocated to their accounts. The ESOP has a trustee who can be “directed” by management. A “directed” trustee may only vote the shares as directed by the board, leaving the employees with no voting rights or access to sensitive corporate information. Corporate governance and control (always an important consideration of business owners) can be maintained or designated by sellers, even in a 100 percent ESOP-owned company – at least until the debt is completely repaid (and all of the stock has been released from the suspense account). In short, day-to-day control of the company doesn’t change, and control can remain with the selling owners until they receive the entire selling price. The contributions made by the company to the plan to repay the debt incurred to purchase shares are tax-deductible payments of profit-sharing contribution expense, dollar for dollar. It is important to note that there are balance sheet items that can affect the net-worth or working capital ratios that are important to banks and bonding companies, so it’s essential that companies communicate with these partners at the outset. You may be surprised to learn that in spite of the balance sheet effects of the plan, lenders and sureties will appreciate an orderly and gradual transfer of ownership that minimizes the disruption to company operations. One of the most compelling benefits arising out of the establishment of an ESOP is the deferral (or possible elimination) of capital gains tax on the sale of the owner’s “C” corporation stock, regardless of the owner’s basis. Capital gains tax rates for individuals can normally be as high as 15 to 20 percent, depending upon the level of income; in addition, the 3.8 percent healthcare tax (called the “net investment income tax”) can result in up to 23.8 percent in federal capital gains tax (which doesn’t include possible state capital gain taxes). However, under an IRC § 1042 exchange, as long as the proceeds from the sale of the C-corporation’s stock is then used by the business owner to purchase “qualified replacement property” (generally securities issued by a domestic operating corporation, with certain limitations), then capital gain taxes can be deferred. If the seller of the company’s stock never sells the replacement property and holds it until death, the deceased security holder’s heirs will inherit the replacement property with a “stepped-up” basis, and the capital gain will have been eliminated. If the company is an “S” corporation (meaning you’ve been receiving a Schedule K-1 every year after the company’s tax returns have been prepared), then when you sell your stock to the ESOP, the annual Schedule K-1 will be issued to the ESOP instead of to you. The plan, as a tax-favored arrangement, is considered a tax-exempt trust (similar to a 401(k) plan), and is not subject to federal or state income tax. In essence, the company becomes a “tax free” entity. This is obviously a most beneficial situation, making the arrangement a very competitive succession planning option. No taxes mean MORE CASH available for operations, and usually more than enough cash to cover repayments on the original purchase loan. With proper planning, sellers and companies may be able to enjoy the distinct tax advantages afforded to both “C” and “S” Corporations. The seller retains personal and corporate legacy in the locality in which the company resides. ESOP companies outperform their peers with increased productivity and higher return-on-investment. The company remains an important contributor to the community’s social and economic fabric. Given the extraordinary benefits involved in the use of ESOPs as a succession planning tool, and its common use within the industry, it would certainly be worthwhile to consider making an ESOP part of your exit strategy. ARTICLE BY RICHARD E. SPENCE, JASON H. WINTER AND DANIEL M. ZUGELL, CLU, ChFC, LUTCF, Senior Vice President of Business Transition Advisors.